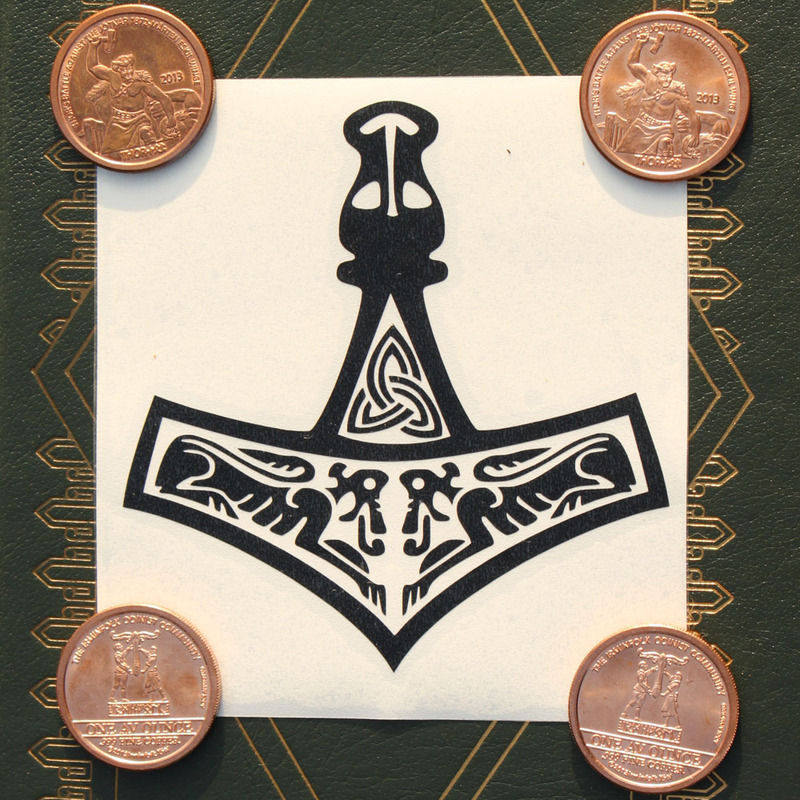 Mjölnir, Thor’s Hammer, is an iconic symbol for Heathens and Asatruar alike. An image symbolizing Strength and Honour! 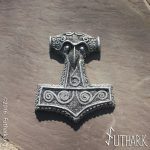 “This particular Mjölnir was designed for a customer who was gifted this re-creation from a friend on a Norwegian Archaeological dig. 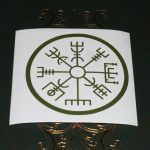 After 6+ hours editing this design, the image once again lives after nearly 1000+ years of being hidden away! 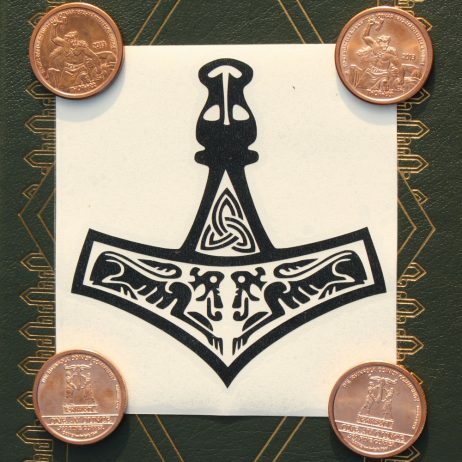 Here is what the customer messaged me with,”…The original gold Hammer was found by my friend on a dig in Norway. 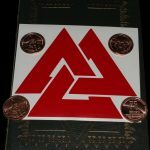 I have a copy made on site from 1000 year old bronze…It has been my favorite Hammer design since I received it at the age of 20…”” – This comes to us directly from our Vendor. 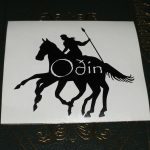 These decals work well on smooth finished surfaces such as Walls (Home / Work), Glass (Automobile / Home), Metal (Bike / Automobile / Tank), Laptop / Notebook or any other creative applications you can contrive! They will resist the elements of being Out-of-Doors for up to 6 years with minimal care.